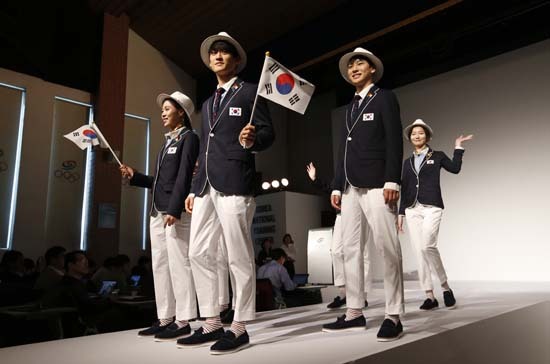 SEOUL, South Korea -- South Korea's Olympic committee on Wednesday unveiled Zika-proof uniforms complete with mosquito repellent it says will help protect athletes from the virus at this year's games in Rio de Janeiro. 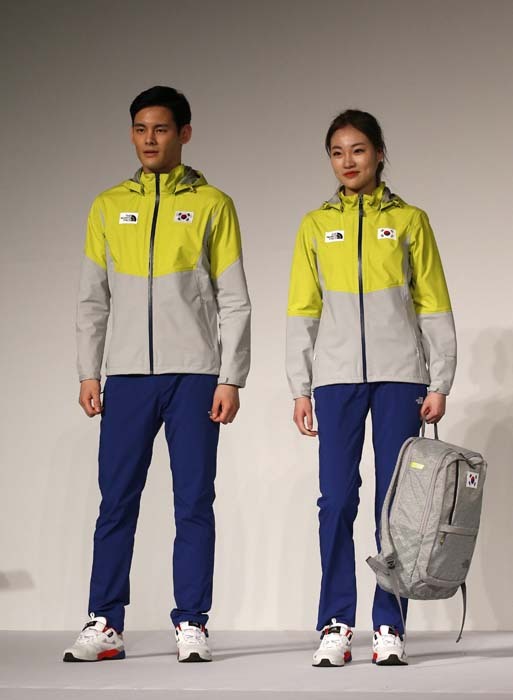 Mosquito-repellent chemicals were added to the outfits, which all include long pants, long-sleeved shirts and jackets. 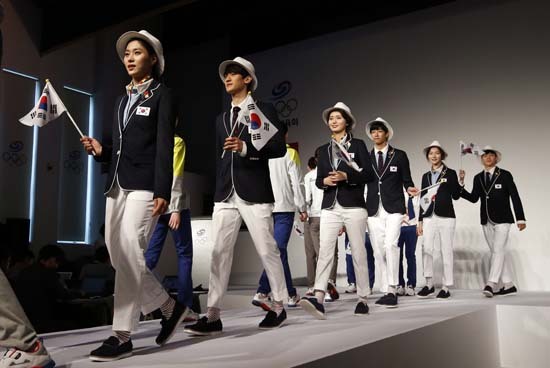 The uniforms will be worn by athletes during ceremonies, training and at the athletes' village, the Korean Olympic Committee said. 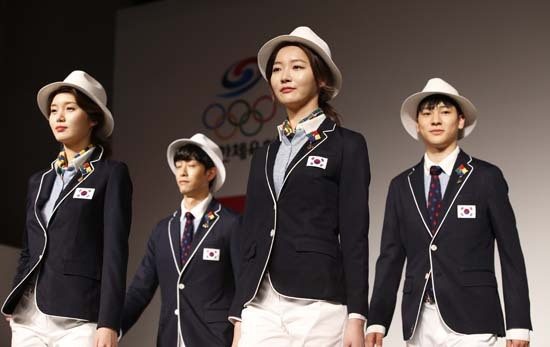 The committee said it couldn't make changes to the uniforms worn during competition because of strict rules and performance concerns, although athletes will be allowed to use anti-mosquito spray during competition. Brazil has been fighting the spread of the Zika virus, which causes severe birth defects, including microcephaly, a condition in which a baby's head is significantly smaller than normal. The threat of Zika has emerged as a major concern in the buildup to this year's Olympics along with construction delays and the political turmoil in Brazil. 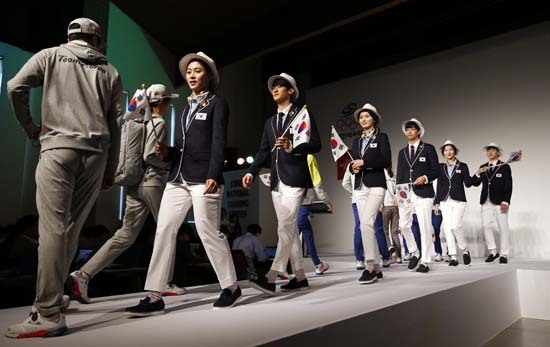 A team of South Korean government and Olympic officials visited Rio de Janeiro earlier this month to inspect Olympic venues and local hospitals The Korean Olympic Committee said it expects to soon provide guidelines to Olympic athletes and others travelling to the games about how to protect themselves from Zika. The U.S. team also revealed its Ralph Lauren-designed closing-ceremony outfits Wednesday, and the Americans don't seem as worried. The men and women will wear shorts.